With 2018 arguably heralding the beginning of a new era for Maver, we are delighted to confirm the signing of none other than England Feeder Team Manager, Tommy Pickering. Originally from South Kirkby, the 62-year old Doncaster-based rod is no stranger to most having established himself as a household name on the back of an extremely decorative angling career spanning more than five decades. In that time, Tommy has fished at the sports highest level amassing an incredible selection of silverware from both domestic and international events including team and individual accomplishments. Tommy’s angling career showed a great deal of promise early on with the then seventeen (17) year old enjoying numerous successes at club level. His undeniable ability earned the attention of Maver legend, Denis White, who shortly afterwards welcomed Tommy into the formidable Barnsley Black squad at age eighteen (18). After enjoying five years with Barnsley, Tommy became the youngest ever angler to be selected and fish for England aged twenty three (23). Since then, Tommy has gone on to compete in a total of twenty seven (27) World / European Championship events including eighteen (18) World Championships. Tommy’s vast experience at International level helped him win gold in the 1984 World Club Championships in Italy and, most notably, the World Championships in 1989 after being crowned individual World Champion in Plodmin, Bulgaria. Tommy is also a former Embassy Pairs winner back in 1995. In addition to his international track record, Tommy has also won some of angling’s most prestigious domestic titles including the UK Champs, Park Dean Masters as well as numerous Angling Trust Winter League finals. Tommy is also a previous Fish O Mania runner-up having narrowly missed out in 2010. As well as team and individual triumphs, Tommy has enjoyed a great deal of success at managerial level having previously coached the England Ladies team. Tommy and the team became a formidable force on the World stage collecting a total of eight (8) medals during his seven (7) years in charge, including six (6) team / individual golds – one of which was taken by daughter Emma Pickering in 2008. Now manager of the England feeder fishing team, Tommy has steered the squad to eleven (11) medals in seven (7) years, including five (5) team and six (6) individual medals since his appointment back in 2011. “I couldn’t be happier! I’m absolutely made up to be joining a massive company with a fantastic family history and I can’t wait to get started. I’m 62 years old and I’m just as excited now as I was back when I was picked for England at 17”! “I’d like to thank the Pirazzini family for their belief in me and welcoming me into their fishing family. Outside of the UK, Italy has a special place in my heart, so the opportunity to work with Reglass and the Pirazzini family is a dream come true”. “I would also like to say and massive, massive thank you to Sarah Phoenix for giving me this opportunity. I will give it my all like I always do. I hope the smile on my face says it all – how happy I am”. 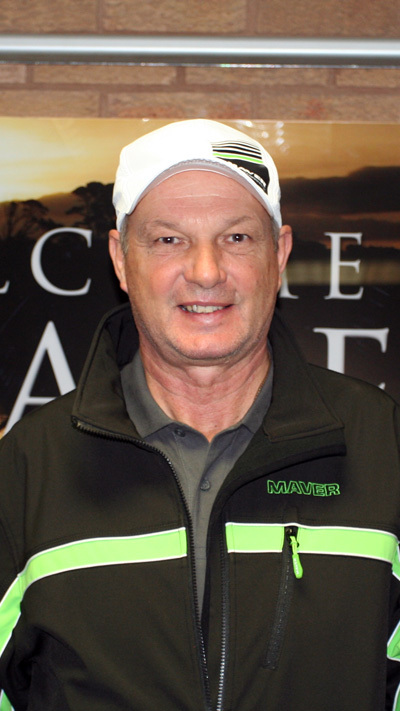 Tommy joins Maver (UK) having previously worked with Tri-Cast, Daiwa and most recently Preston Innovations and will no doubt prove an extremely valuable acquisition during a vital period. Tommy will be instrumental in the development of new product given his vast experience at domestic and international level and will be a driving force behind future promotion of the brand in general.